What is the feature of this Shield? 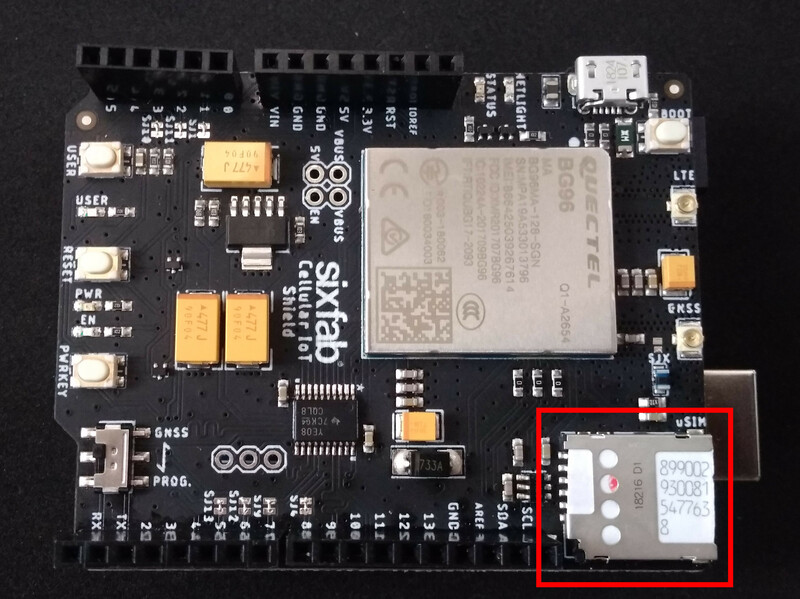 This Cellular IoT Shield contains Quectel BG96 which has combined LTE technologies Cat.M1, Cat.NB1 and eGPRS. It also supports GPS too. Before we start working with the Shield, let us set up our router settings. Your router needs port forwarding for UDP connection. You can do it by following Port Forwarding Tutorial. Note down the IP address of your router and UDP port number(We will need it later). 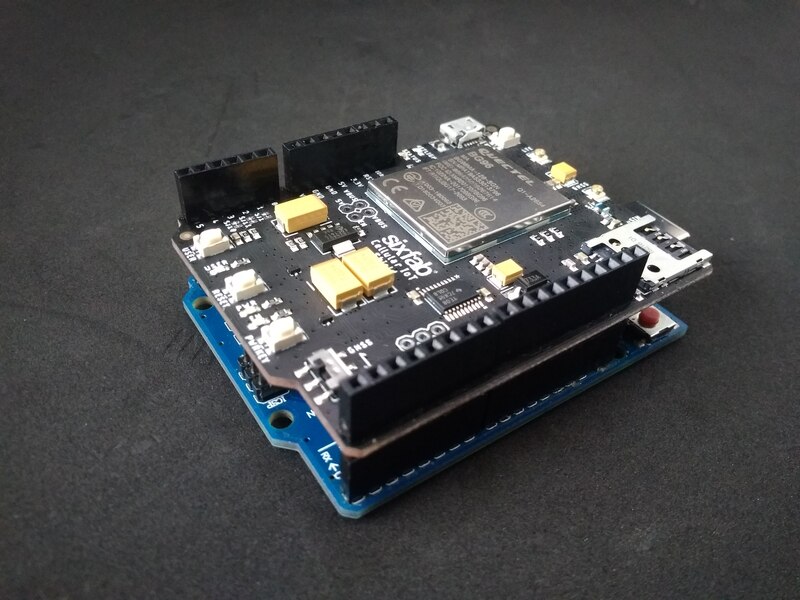 Attach the Cellular IoT Shield to your Arduino Uno (Any Arduino with similar pinout as Arduino UNO can be used). Plug the antenna. 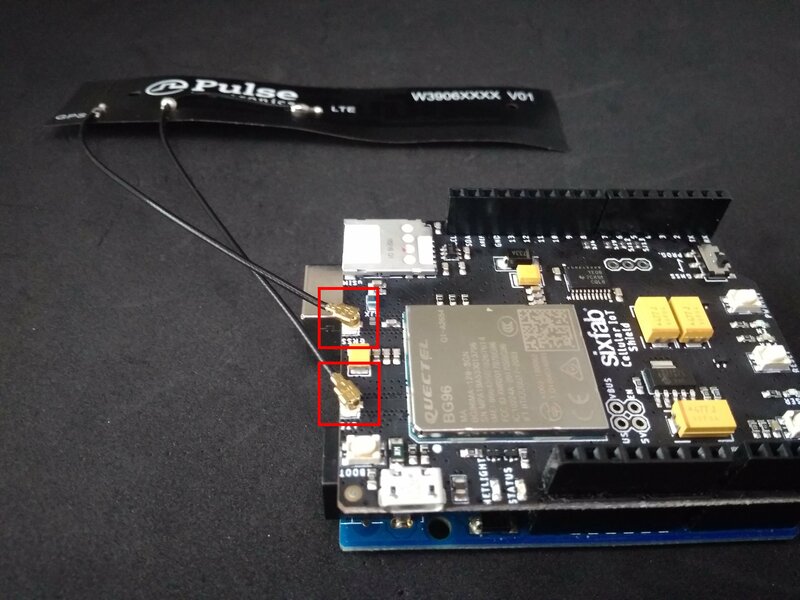 You will need one LTE antenna with u.FL for this tutorial. Here, I am using LTE – GNSS Dual u.FL Antenna – 100mm, as it comes with the shield. 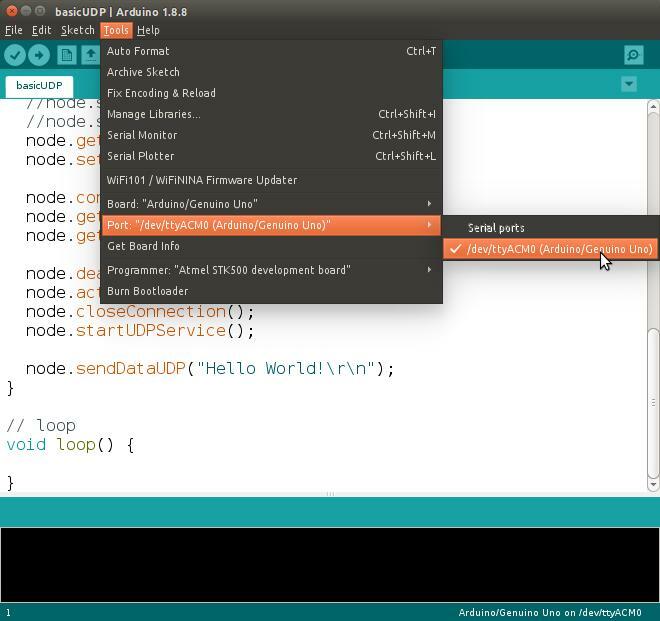 Now plug your Arduino to your laptop/desktop. 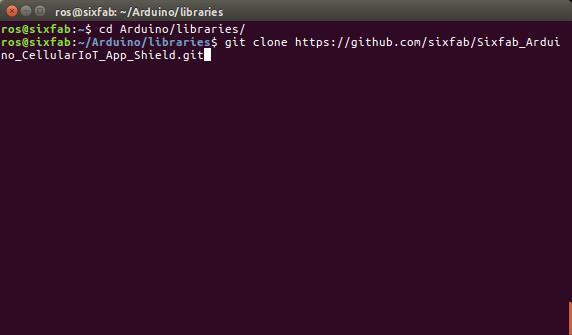 Clone the library from github to your Arduino/libraries directory. 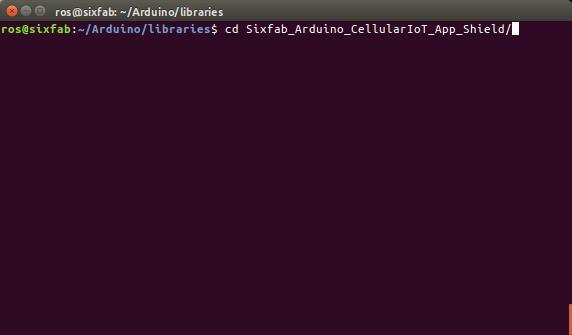 You can download .zip format from github repo and extract it in your Arduino/Libraries directory. 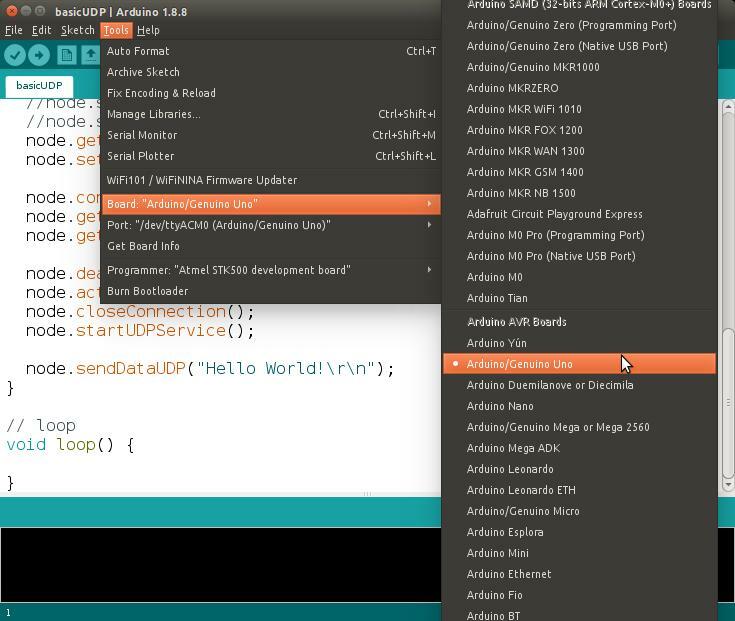 Now open your Arduino IDE. Go to File > Examples > Sixfab_CellularIoT and click basicUDP. 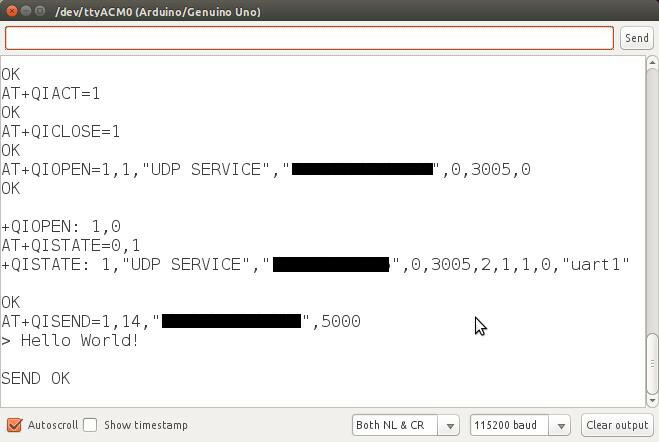 This will bring up basicUDP.ino code. 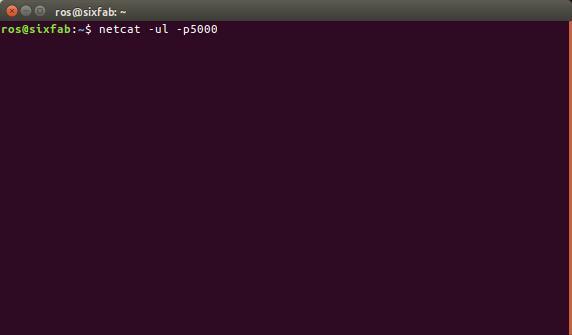 You have to replace these information with your own which you have set in the preconfiguration step that is, the routers IP and the UDP port address. 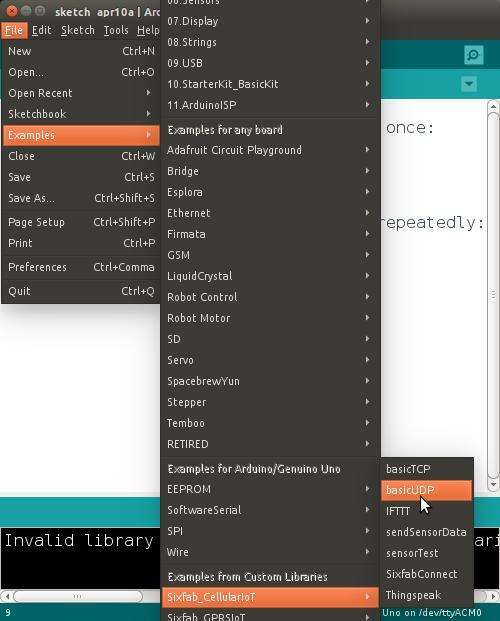 Before uploading the code to your Arduino, go to Tools select Board and Port. For us Board is Arduino/Genuino Uno and Port is /dev/ttyACM0. Port will be different for Windows users. 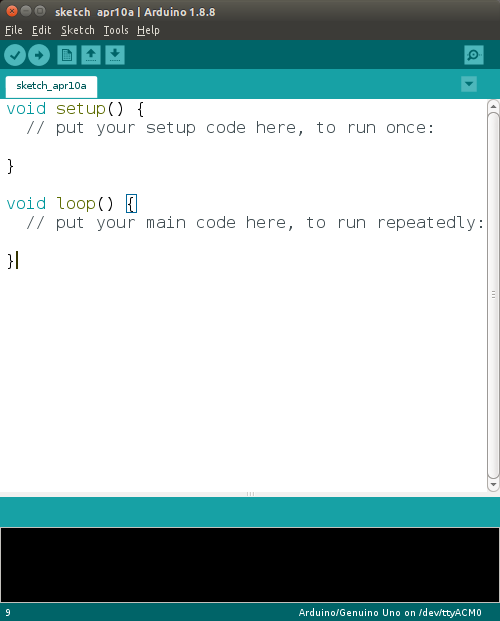 Now Upload the code to your Arduino. Open the Serial Monitor And you will see the following screen. Once the UDP Data is sent successfully. 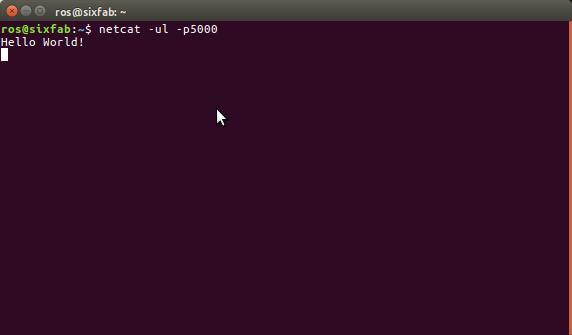 You will be able to see the data from your terminal.